ATI forsterker «American Muscle built by American muscle. The AT1800 shares key hallmarks with its larger siblings, the AT2000 and AT3000’s. The AT1800 is available in 6 configurations from the AT1802 2-channel model to the AT1807 7-channel version. Power is conservatively rated at 180 Watts RMS/channel into 8 Ohms from 20Hz to 20kHz with no more than 0.03% THD and I.M. distortion. Each model comes equipped with two toroidal transformers, a detachable IEC power cord, optically coupled protection circuits, soft-start circuit and convection cooling eliminating the need for fans. Units can even be upgraded at the factory to add additional channels (up to 7). Montebello, CA , October 14, 2015 – Amplifier Technologies, Inc., the prolific manufacturer of many of the high end audio’s best amplifiers today added a new series of amplifiers designed by their president and chief engineer, Morris Kessler. 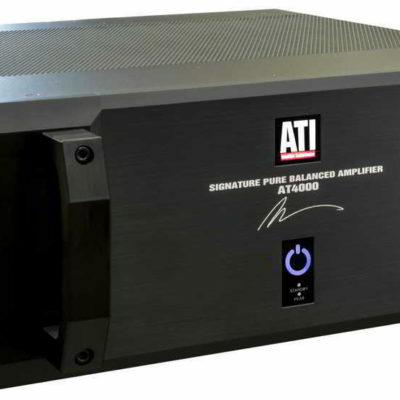 The AT 4000 series amplifiers, available with 2 to 7 channels, share the design philosophy and circuit sophistication of ATI’s award-winning 6000 Series amps with power output reduced to 200W RMS per channel at 8 ohms and 300 W RMS at 4 ohms. Furthermore, their “signature series” designation with a facsimile of Kessler’s signature on the main panel attests the special nature of these amplifiers. 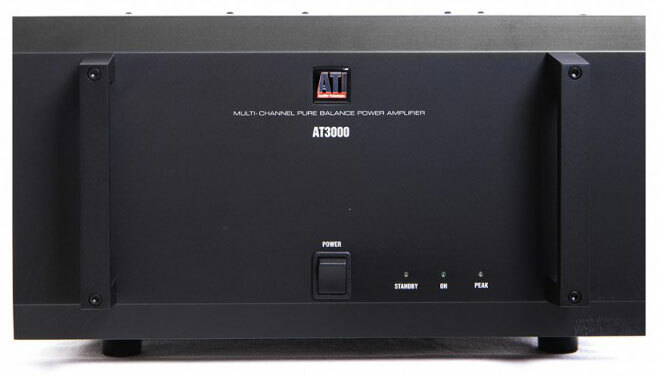 All the amplifiers in the AT 4000 series are rated at 200 Watts RMS from 20 Hz to 20 kHz with no more that 0.03% THD at 8 ohms with all channels driven and 300 Watts RMS at 4 ohms under the same conditions. Signal-to-noise ratio is typically 126 dB referenced to full output so each amplifier in the series is capable of playing back the full dynamic range available on today’s lossless recordings. 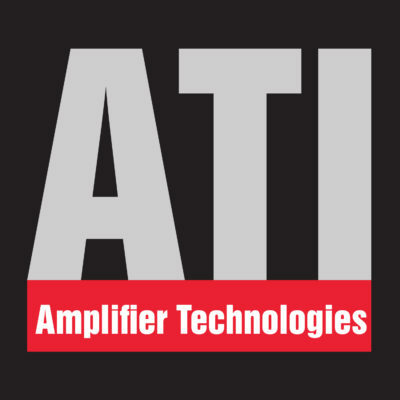 Amplifier Technologies owns the ATI, Audioaccess, B&K, BGW and Theta Digital brands and designs and manufactures state-of-the-art audio components for its own and other brands in its facility in Montebello, CA. 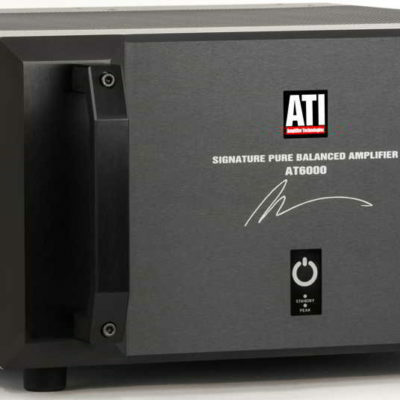 Guided by legendary amplifier designer Morris Kessler, ATI offers both performance and value in audio components. Amplifier Technologies, Inc., the prolific manufacturer of many of the high end’s best amplifiers today introduced a new series of amplifiers designed by their president and chief engineer, Morris Kessler. 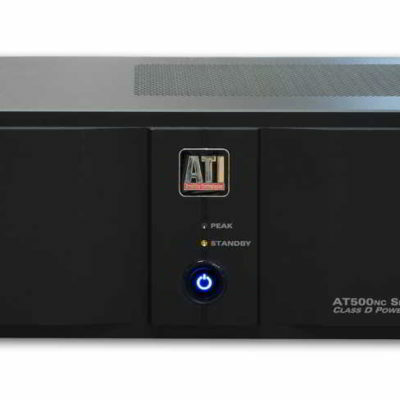 The AT 6000 series amplifiers, available with 2 to 7 channels, are the company’s first new amplifiers in over a decade. Furthermore, their “signature series” designation with a facsimile of Kessler’s signature on the main panel acknowledges the special nature of these designs. 1. As in Kessler’s previous top-of-the-line designs, these amplifiers are fully balanced, differential amps, but unlike his earlier balanced designs which were essentially balanced bridged amplifiers, the AT 6000 series uses only a single input stage with dual-differential output stages. The reason: the advantages of balanced designs are retained and noise is reduced by 50%. 3. Kessler used Thermaltrak output devices for the AT 6000 series. Unlike traditional designs where external diodes or transistors attached to the heat sinks track the amplifiers operating conditions and use the details to adjust bias, Thermaltrak devices have the temperature sensing device in the same package as the output transistor. The results: bias is optimized in real-time. 4. The AT 6000 series use dual DC servos to track and maintain DC offset. The result: DC in the amplifier’s output is reduced to insignificant levels. All the amplifiers in the AT 6000 series are rated at 300 Watts RMS from 20 Hz to 20 kHz with no more that 0.03% THD at 8 ohms with all channels driven and 450 Watts RMS at 4 ohms under the same conditions. Signal-to-noise ratio is typically 128 dB referenced to full output so each amplifier in the series is capable of playing back the full dynamic range available on today’s lossless recordings.